Seagate - ST15150W SEAGATE - BARRACUDA 4.29GB 7200 RPM 68 PIN FAST SCSI HARD DISK DRIVE. 1MB BUFFER 3.5 INCH HALF HEIGHT(1.6 INCH) INTERNAL. ST15150W IN STOCK. SHIP SAME DAY. Seagate - ST19171FC SEAGATE - BARRACUDA 9.1GB 7200 RPM FIBER CHANNEL HARD DISK DRIVE. 1MB BUFFER 3.5inch HALF HEIGHT (1.6inch). ST19171FC IN STOCK.SHIP SAME DAY. Seagate - ST15230WC SEAGATE - 4.3GB 5400 RPM 80 PIN FAST SCSI HARD DISK DRIVE. 3.5inch HALF HEIGHT(1.6inch). ST15230WC IN STOCK. SHIP SAME DAY. Seagate - ST15150N SEAGATE - BARRACUDA 4.29GB 7200 RPM 50PIN FAST SCSI HARD DISK DRIVE. 3.5inch HALF HEIGHT(1.6 INCH). ST15150N IN STOCK. SAME DAY SHIPPING. Dell - 6223U DELL - 36.4GB 7200RPM 80PIN ULTRA-160 SCSI 3.5inch HALF HEIGHT (1.6inch) HARD DRIVE (6223U) FOR POWEREDGE. IN STOCK. SHIP SAME DAY. Dell - 0578P DELL - 36GB 7200 RPM 80 PIN ULTRA 160 SCSI 3.5inch HALF HEIGHT (1.6inch) HARD DRIVE (0578P) FOR POWEREDGE 2300. IN STOCK. SHIP SAME DAY. Seagate - ST118202LC SEAGATE - CHEETAH 18.21GB 10000 RPM ULTRA2 80 PIN SCSI HOT PLUGGABLE HARD DISK DRIVE. 3.5inch HALF HEIGHT(1.6inch). ST118202LC IN STOCK.SHIP SAME DAY. Seagate - ST136475LC SEAGATE - BARRACUDA 36.42GB 7200 RPM ULTRA2 80 PIN SCSI HOT PLUGGABLE HARD DISK DRIVE. 3.5inch HALF HEIGHT (1.6inch). ST136475LC IN STOCK. SHIP SAME DAY. Seagate - ST15150WC SEAGATE - BARRACUDA 4.3GB 7200 RPM 80 PIN ULTRA 2 SCSI HARD DISK DRIVE. 3.5 INCH HALF HEIGHT(1.6 INCH). ST15150WC IN STOCK. SHIP SAME DAY. Seagate - ST136403FC SEAGATE - CHEETAH 36.7GB 10000 RPM FIBRE CHANNEL HARD DISK DRIVE. 3.5inch HALF HEIGHT(1.6 INCH). ST136403FC IN STOCK. SAME DAY SHIPPING. Seagate - ST19101W SEAGATE - CHEETAH 9.1GB 10000 RPM 68PIN ULTRA WIDE SCSI HARD DISK DRIVE. 3.5inch HALF HEIGHT(1.6 INCH) INTERNAL. ST19101W IN STOCK. SAME DAY SHIPPING. Seagate - ST173404LCV SEAGATE - CHEETAH 73.4GB 10000RPM 80PIN ULTRA160 SCSI HARD DISK DRIVE. 4MB BUFFER 3.5inch HALF HEIGHT(1.6 INCH). (ST173404LCV) IN STOCK. SAME DAY SHIPPING. Dell - 2156P DELL - 36GB 7200RPM 80PIN WIDE ULTRA SCSI 3.5inch HALF HEIGHT (1.6inch)HOT PLUGGABLE HARD DISK DRIVE WITH TRAY FOR POWEREDGE 2300 / 2400. 2156P IN STOCK. SHIP SAME DAY. Seagate - ST173404FC SEAGATE - CHEETAH 73.4GB 10000 RPM FIBRE CHANNEL HARD DISK DRIVE. 4MB BUFFER 3.5 INCH HALF HEIGHT(1.6 INCH) HOT PLUGGABLE. ST173404FC IN STOCK. SHIP SAME DAY. Seagate - ST173404LC SEAGATE - 73.4GB 10000RPM 80PIN ULTRA160 SCSI HARD DISK DRIVE. 4MB BUFFER 3.5 INCH HALF HEIGHT(1.6 INCH). (ST173404LC) IN STOCK. SHIP SAME DAY. Seagate - ST136403LC SEAGATE - CHEETAH 36.4GB ULTRA2 80 PIN HOT PLUGGABLE HARD DISK DRIVE. 10000 RPM 1MB BUFFER 3.5 INCH HALF HEIGHT(1.6 INCH). ST136403LC IN STOCK. SHIP SAME DAY. Seagate - ST19171N SEAGATE - BARRACUDA 9.1GB 7200 RPM 50 PIN NARROW SCSI HARD DISK DRIVE. 3.5 INCH HALF HEIGHT(1.6 INCH ) INTERNAL. ST19171N. IN STOCK. SHIP SAME DAY. Seagate - ST150176LC SEAGATE - BARRACUDA 50.1GB 7200RPM ULTRA2 80PIN HOT PLUGGABLE HARD DISK DRIVE. 3.5 INCH HALF HEIGHT(1.6 INCH). (ST150176LC) IN STOCK. SHIP SAME DAY. Seagate - ST150176LW SEAGATE - BARRACUDA 50.07GB 7200 RPM 68 PIN ULTRA2 SCSI HARD DISK DRIVE. 3.5 INCH HALF HEIGHT(1.6 INCH). ST150176LW. IN STOCK. SHIP SAME DAY. Dell - 06XTM DELL - 73.4GB 10000RPM 80PIN ULTRA-160 SCSI 3.5inch FORM FACTOR HALF HEIGHT(1.6inch) HOT PLUGGABLE HARD DISK DRIVE (06XTM). IN STOCK. SHIP SAME DAY. Seagate - ST1181677LW SEAGATE - BARACUDA 180GB 7200 RPM ULTRA160 68 PIN SCSI HARD DISK DRIVE. 4MB BUFFER 3.5inch HALF HEIGHT (1.6 INCH). ST1181677LW IN STOCK. SAME DAY SHIPPING. Seagate - ST118273LW SEAGATE - BARRACUDA 18.21GB 7200 RPM 68 PIN ULTRA2 SCSI INTERNAL HARD DISK DRIVE. 3.5 INCH HALF HEIGHT(1.6 INCH). ST118273LW IN STOCK. SHIP SAME DAY. 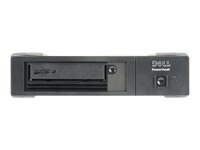 Dell - G6831 G6831 Dell 200 400GB Lto-2 SCSI LVD PV114T Half Height Internal Tape Drive. New Bulk Pack. Seagate - ST118273N SEAGATE - BARRACUDA 18.21GB 7200 RPM 50 PIN FAST SCSI HARD DISK DRIVE. 3.5 INCH HALF HEIGHT(1.6 INCH). ST118273N IN STOCK. SHIP SAME DAY. Hewlett Packard - D9420-69001 D9420-69001 HP 73.4GB 10K RPM 80PIN Ultra160 SCSI 3.5inches Half Height 1.6 Inches Hot Swap Hard Disk Drive With Tray. New Bulk Pack. Seagate - ST173404LWV SEAGATE - CHEETAH 73.4GB 10000 RPM 68 PIN ULTRA160 SCSI HARD DISK DRIVE. 16MB BUFFER 3.5 INCH HALF HEIGHT(1.6 INCH). ST173404LWV IN STOCK.SHIP SAME DAY.